Had a convo with a new friend recently. We were at a local spot with a community board. As I went to grab a napkin, I noticed a couple of colleague’s cards on the board. And shared with her, I was excited to see people I knew. My new friend, jokingly suggested, I take out the competition and pull their cards down. Now she was honestly kidding when she said it. This is something I would never even think of doing, though I know there are folks out there that do. No judgement. Seriously. It is just where they are in this experience we call life. This is all about competition and scarcity. Believing there isn’t enough or you aren’t enough. This is something I just don’t believe. And YES, there was a time when I did believe in scarcity and I wasn’t enough. As for what I do in the world today, there are other wonderful people that do what I do or something similar. Yet, what sets us each apart is our own brand of who we are. For me, it is my Marni-ness. Let me explain further, while there are others out there sharing their gifts as Intuitives- Energy Healers – Mediums, none of them have my exact experience (s), my filters, my energy, my stories, my sparkle, my Marni-ness. And I in turn, do not have their brand either. And being your own brand of Marni-ness (what that is for you) is what makes it so beautiful for folks out there wanting answers, looking to transform their lives, heal, leave pain, etc. You have choices. Choices that will resonate and meet you where you are today and where you evolve towards tomorrow. And so, when I meet someone and we talk about working together, it is beyond willingness on their part that is important. It is also about making sure my Marni-ness is a good fit as they move away from the mucky and toward the vision they are seeking. And when it isn’t, I LOVE having amazing colleagues, I can introduce and refer them to. Cuz, ultimately, they will get the healing they are looking for. And referring them to someone that is a better energetic fit in that moment, is still helping someone heal, isn’t it? Using the law of adaptation, you might be able to discern how this fits in your own career, relationship choices, finances, love life, etc. Or at least begin to open and see other possibilities. 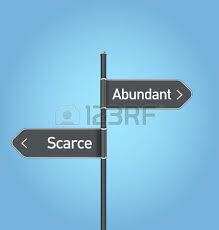 Scarcity if focused on continues to show up in your life to reinforce that which you think you believe. So, until you are willing to change this belief and create a new LIFE LAW for yourself, you will stay in this circle of scarcity. Scarcity can show up in many ways: financially, health, love, career, friendships, and more. What can help you shift this? Chakra balancing- Chakras are an energetic organ and caring for them and understanding their messages impacts so many aspects of your life including scarcity. And most of all Willingness to face it and feel it as you reframe your belief to be more in alignment with the life you desire living. PS. If you don’t know a lot about Energy & Chakra…check back soon or contact me as I release info about an upcoming class taking place in September. This entry was posted in blog and tagged abundance, acceptance, align, alignment, belief, choice, complain, confidence, energy, energy healing, fears, feelings, flow, freedom, grateful, happiness, happy, harmony, healing, hope, insecurity, joy, lifelaws, love, loveU, meditate, mindset, passion, peace, perfectly-imperfect, power, prosperity, release, scarcity, self-doubt, self-esteem, selfcare, selflove, spiritual, vibes. Bookmark the permalink.